Well its a good time to be a booze-drinking lady in Muscat these days, as the Ladies night offers around town are pretty good. 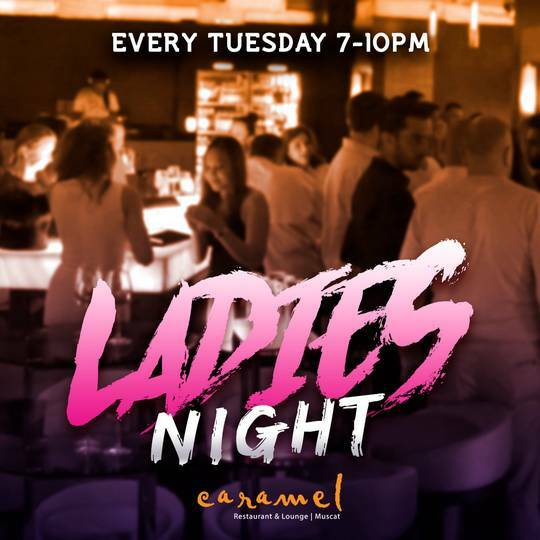 Caramel also have a really good Ladies night every Tuesday between 7pm and 10pm - a tenner gets you bottomless bubbles, house red and white. You can call Caramel on 2206 6668 to make a booking or learn more.